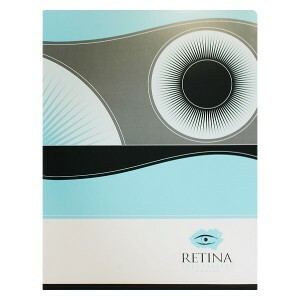 Presentation folders are like wrapping paper for the ideas that you want to present. What’s inside the folder won’t be seen until the right moment, so the outside has to grab the recipient’s attention and keep them excited for what’s in store. Do you want to present your company’s important ideas and information in an attractive package, or do you want to be the one at the party with the gift wrapped in newspaper? Our complete guide to presentation folders will help you to learn how to expertly design folders and use them to make an impact. 300+ Inspiring Presentation Folder Designs – Browse this vast collection containing hundreds of unique folder designs created by top graphic artists. 4 Elements Of Effective Presentation Folder Design – Create a professional look every time with these four easy-to-understand design principles. 16 Amazing Presentation Folder Ideas – Find inspiration for your own marketing materials from this collection of interesting and unique presentation folder designs. 9 Common Presentation Folder Design Mistakes – Avoid a busy or boring folder design by learning to recognize these signs of a clunky pocket folder design. How To Give Your Folder A Color Background That “Pops” – If you want a color background, you probably don’t want a colored stock. 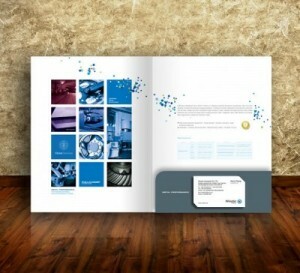 Find out why with this guide to utilizing color in the background of your folder. 6 Awesome Paper and Linen Stocks for Your Presentation Folders – Different stocks have very different effects on the look and texture of your folder. Discover the difference between gloss, felt, vellum and more. 180+ Die Cut Folder Templates – View the largest collection of die cut templates, where you can download as many as you want at no cost. You're sure to find a layout you need to print your design. 50+ Folder Design Templates – An excellent repository of free, print-ready folder design templates for Adobe Photoshop, Illustrator, and InDesign. 17 Folder Mockup PSD Templates – Download these free PSD templates to turn your folder designs into realistic mockups that let you demonstrate what your design will look like once it’s printed and folded into shape. Folder Design Cheat Sheet – A two-part series consisting of Important Folder Tips and a Print Ready Checklist to help you design and prepare your artwork for printing. 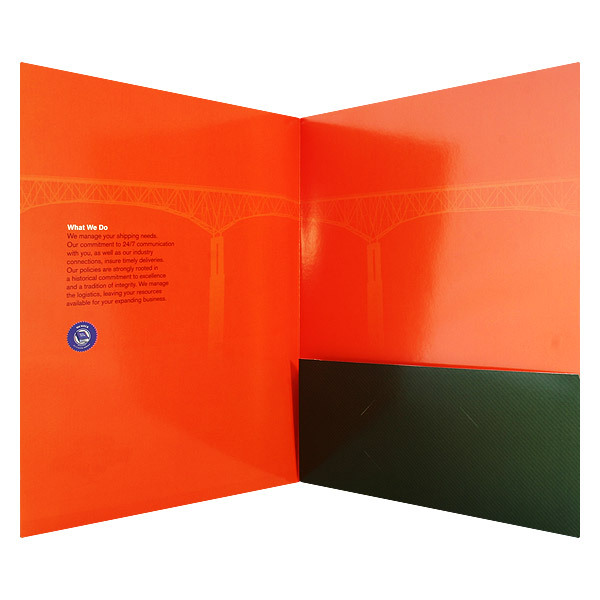 Folder Design Services – For an original design or enhancement of an existing design, CF’s graphic artists ensure that it will look great in print. 5 Cardinal Rules of Presentation Folder Quality – From stock materials to coatings and finishes, find out what to look for in a truly impressive folder. The Ultimate Guide to Presentation Folder Styles – Learn the difference between a pocket folder, tri-fold folder, belly band presentation package and more in this in-depth look into folder styles and types. The Difference Between One and Two Sided Folder Printing – It’s not as simple as you might think. This article will help you know exactly what to ask for when placing an order. 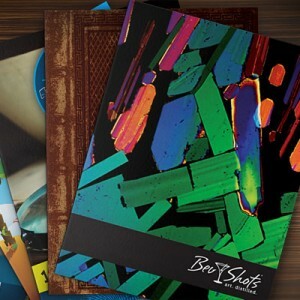 All About Coating Finishes for Your Presentation Folders – A complete look at the benefits of using different coatings and finishes, from protective to design considerations. How to Save the Earth with Recycled Presentation Folders – A guide for eco-friendly businesses on what qualities to look for in a green folder, including what type of stocks and inks you should use. 4 Indispensable Tips for Designing Embossed Presentation Folders – People sometimes misunderstand what embossing actually is. Learn the terminology of embossed designs and techniques for ensuring that your folder looks its best. 5 Dazzling Die Cut Designs for Presentation Folders – A guide to the different customization options that die cutting brings to the table, from windows to unique openings and pocket shapes. 6 Designer Folder Accessories and Add-Ons – Sometimes all it takes is a little something extra. Take a look at the different accessories that give your folder added impact, like stepped inserts and spine attachments. 4 Foil Stamp Options That Make Your Folders Look Fancy – Learn how to give your folder some sparkle or just a dramatic accent with metallic, clear or other foil options. 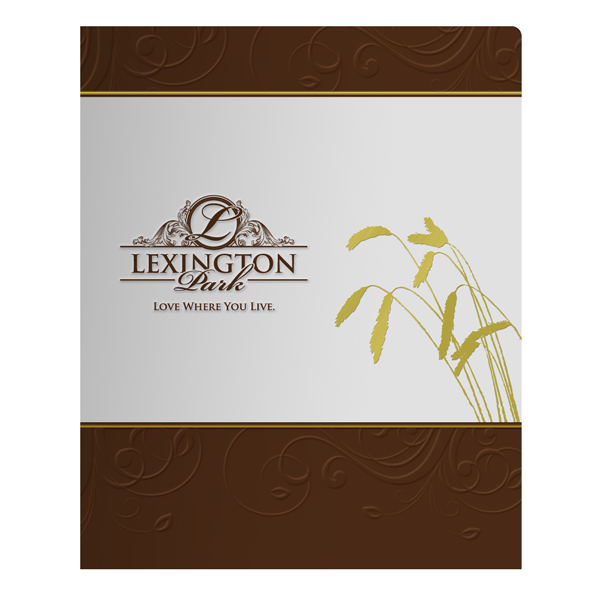 Presentation Folder Printing – Select from over 100 styles of custom printed folders starting as low as 19¢ each, including free shipping and a lifetime warranty. Each is fully customizable with a variety of stocks, coatings, foils, imprint methods and more. Earn a 20% Discount by Becoming a Reseller – If you’re in the printing or graphic design field, you can get 20% off when providing quality marketing materials to your clients. Consider these links your first semester of “Presentation Folders 101”– by no means do they represent the full extent of knowledge available to you. If you’re serious about creating dynamic marketing collateral, check out your local library for books on design elements or consider taking a design course online.